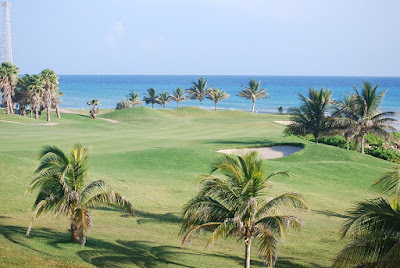 The 2017 Web.com Bahamas Great Exuma Classic golf tournament on the Web.com development tour for the PGA Tour is taking place this week from January 13-16, 2018, at the Sandals Emerald Bay Golf Club located in Great Exhuma, Bahamas. Here is a list of the prize money up for grabs for the Web.com players at the 2018 Bahamas Great Exuma Classic. The Bahamas Great Exuma Classic was first played last year in 2017. Kyle Thompson was the winner. The Bahamas Great Exuma Classic is the first of 27 Web.com events that will be played in 2018. Total prize money up for grabs at the 2018 Bahamas Great Exuma Classic is $600,000. Any player who wins three times on the Web.com Tour automatically earns their PGA Tour card. The winner of the 2018 Bahamas Great Exuma Classic will earn $108,000. Second place is worth $64,800 at the 2018 Bahamas Great Exuma Classic on the Web.com Tour.